Video games have helped re-align the definition of "weird" in the collective American Mind. Years of oh-so-innocent cartridges and discs have been the vehicle for smuggling strange concepts into the mainstream. Murderous plumbers, sprinting hedgehogs, androgynous heroes—no one blinks an eye at that used-to-be crazy stuff nowadays. But some games are simply TOO weird. Even they lurk on the fringe of the gaming community, prancing about in ballet slippers and post-apocalyptic facepaint, shouting insane nonsense. We're not sure how some of these games ever got made, but we're glad they exist because they remind us that, despite the questionable material on our hard drives, we're still relatively normal. 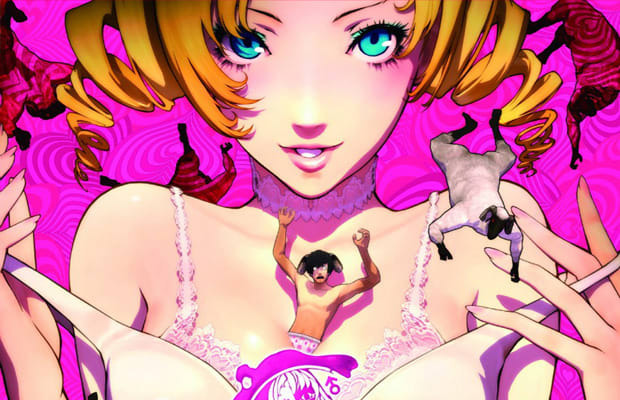 In celebration of Catherine joining the ranks of those creatures that exist on the fringe, we've compiled a list of the strangest stories ever told from the weirdest games ever sold.